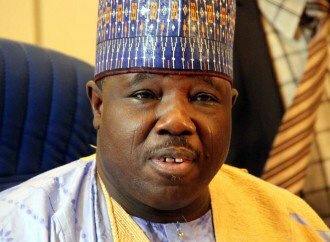 The sacked National Chairman of the PDP, Senator Ali Modu Sheriff, yesterday, packed out of the party’s national secretariat in Abuja following his defeat at the Supreme Court. Sheriff, however, said that he was still in shock at the judgement which removed him from office. In a statement by the erstwhile ‎spokesman of his faction, Bernard Mikko, Sheriff said that he was still waiting for his lawyers to brief him on the details of the judgement. “We received with shock the judgement of the Supreme Court on the leadership of the PDP. Though we still await the full written judgement of the highest court from our lawyers who would fully brief us on the details of the judgement; in the interim, we ask all members and supporters to remain steadfast in prayers for Nigeria. “Meanwhile, we would continue with our avowed demands that the party must be given back to the owners at the grassroots to always elect their party officials, and those to contest elections for them at all levels. Internal democracy must be institutionalised in the party,” the statement said. Sheriff’s belongings were taken away from the Wadata Plaza, yesterday, in a navy blue police pick up van.